Working in an environment that's dimly lit or full of backlighting? Shed light on your subject. Make important details pop, let subjects stand apart from their backgrounds. 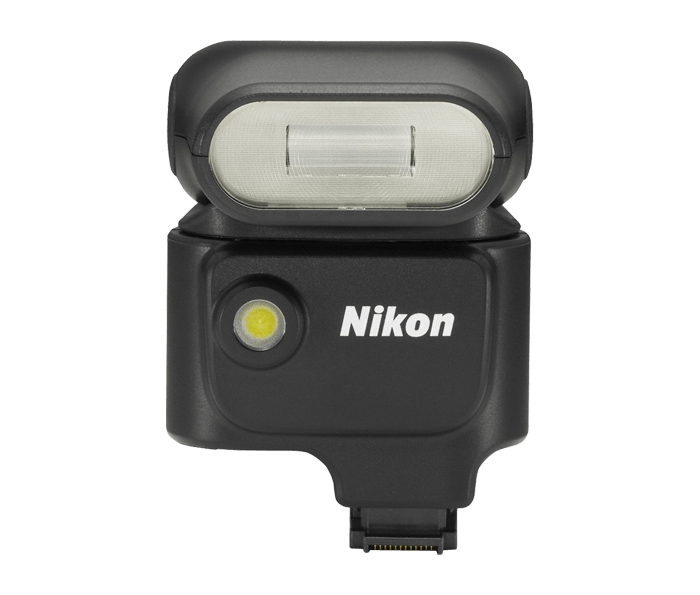 Plug this compact i-TTL compatible flash unit into the Nikon 1 V1 camera's multi-accessory hot shoe and go! Looking to put even more expression to photos with the addition of creative light variety? Play it up! Experiment and invent novel looks using the new Nikon 1 SB-N5 Speedlight and bend the light just as you like. With ease, swivel the Speedlight up, down, left or right and bounce light where and how you desire. If you're working in less than adequate light while creating a Motion Snapshot or using Smart Photo Selector, attach the Speedlight and keep everything exposed properly. The SB-N5 Speedlight steps up to serve as a continuous light source for up to six seconds. Turn the flash on and off using the ON/OFF switch.